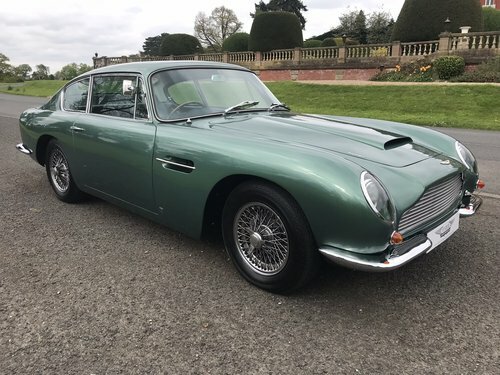 Fisher Performance Cars we are absolutely delighted to be able to offfer this outstanding handsome Aston Martin DB6 first registered 8th November 1968 69,702 miles finished in period metallic green with full original black leather interior. 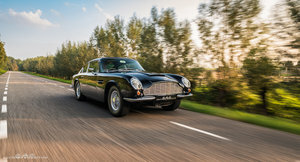 Importantly an extensive full restoration to the bodywork and undercarriage, full engine and gearbox re-build has been completed by respected Aston Martin Specialists, this also incudes an engine upgrade from the standard 4.0 to 4.2 this has improved the acceleration, throttle response and overall power output carried out by K.A.D. 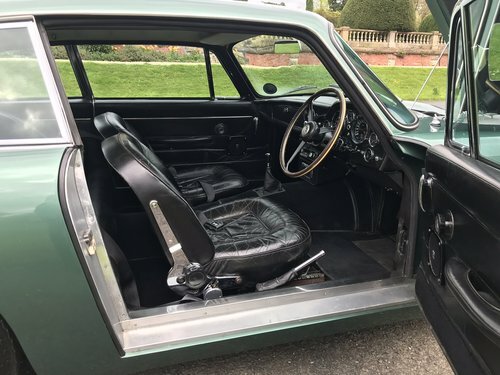 This is a very reluctanct sale by its present owner a doctor who has owned the vehicle for over thirty years, accepting his advancing years it is now time for a new owner to enjoy. 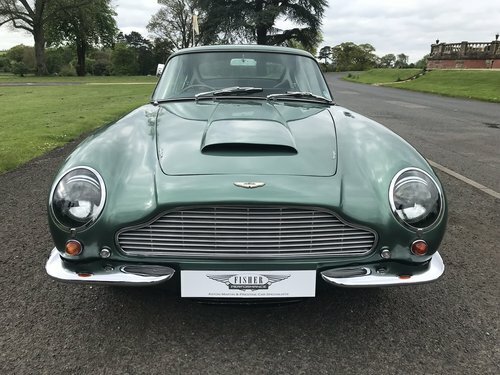 The Aston Martin DB6 has always been garaged and cared for during his ownership and has only been driven on special occasions and to take it for its annual MOT. Famously used for a Hackett clothing photo shoot with CBE Jonny Wilkinson former one of Englands Worlds best Rugby Union players, a copy of the Hackett catologue is present. 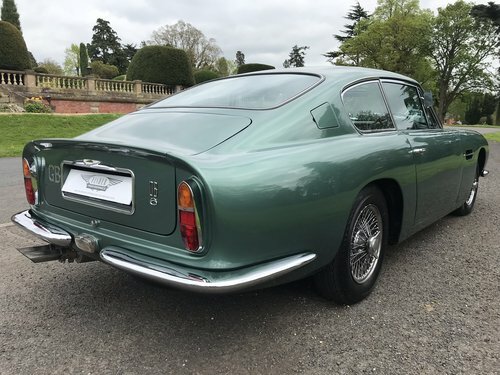 In May 1999 the Doctor commissioned Aston Martin Specialists, Four Ashes Garage Ltd, Stratford Upon Avon to carry out a full restoration of the bodywork including the undercarriage and general mechanical work, invoice copies are included listing all work and materials. 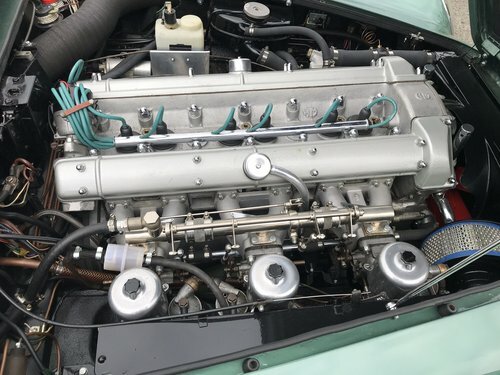 All of the above work is documented and invoice copies included with the sale, the work has been completed to a high standard the vehicle drives extremely well, the engine is responsive and crisp, gear changes are fluid. 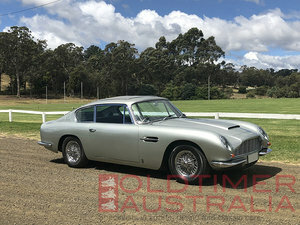 In summary if you are looking for a fine example of an Aston Martin DB6 that offers you an enjoyable ownership, is very responsive and lively to drive then this is for you. 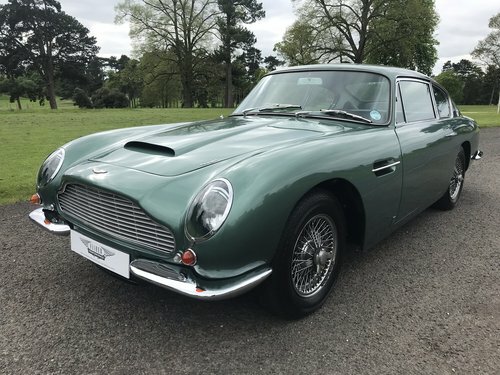 This is certainly a classic Aston Martin that has had all of the important, essential work completed from here on it should simply be a matter of enjoyment.